The Sonoma County Venture Conservation (SCVC) Regional Conservation Partnership Program (RCPP) is a collaboration of partners, funders, residents, farmers and ranchers working to conserve and restore land in Sonoma County to ensure resilience to climate change through healthy soils, high-quality surface and groundwater supplies, healthy habitat for fish and wildlife, and a thriving agricultural industry. Data analysis – To identify high-priority, multiple-benefit, integrated projects. Conservation Easements (through NRCS’ Agricultural Conservation Easement Program) – A voluntary legal agreement that protects identified conservation values on a property; negotiated with willing landowners; runs with the land. Conservation Planning – A voluntary process to develop a site-specific plan that balances a landowner or manager’s individual needs, goals and timelines with practices that preserve and enhance natural resources on the property. On-farm Conservation Practices (through NRCS’ Environmental Quality Incentives Program) – Installation of best management practices that meet both agricultural production and environmental quality goals. The SCVC partnership allows for work across boundaries in a cooperative, proactive, and integrative way to conserve working and natural lands that will result in substantive improvements in water, soil, and habitat quality, with an emphasis on climate resiliency, healthy riparian corridors, groundwater recharge, and fish and wildlife habitat. This ‘venture conservation’ approach uses federal funding through the RCPP as seed money to be matched with local and State funding sources. The purpose of the Regional Conservation Partnership Program is to promote coordination between NRCS and its partners to deliver conservation assistance to agricultural producers and landowners. NRCS provides assistance to producers through partnership agreements and through conservation program contracts or easement agreements. The Sonoma County Venture Conservation RCPP will focus on four resource concerns: water quantity, water quality, soil health, and fish and wildlife habitat. Led by the Sonoma County Agricultural Preservation and Open Space District (Ag + Open Space) in partnership with core partners and a technical advisory committee, the SCVC leverages local knowledge, funding, and resources with federal USDA-NRCS dollars through the Regional Conservation Partnership Program. The Partnership is providing $12,774,555 in match funding. 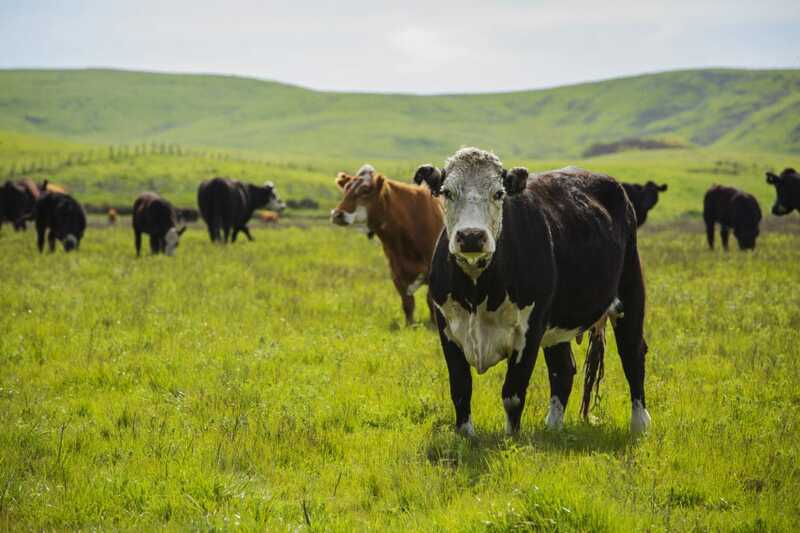 Sonoma County Ag + Open Space – Lead agency for grant administration, public relations and community outreach, data collection and analysis, and in acquiring conservation easements from willing landowners. Local NRCS office – Responsible for disbursing partnership funds on a reimbursement basis; lead agency responsible for contracting with willing landowners for EQIP (Environmental Quality Incentives Partnership) and CSP (Conservation Stewardship Program) projects on the ground, partner in community outreach. State NRCS office – Partner in conservation easement acquisition. Sonoma Resource Conservation District – One of two lead agencies in developing and implementing conservation plans with willing landowners, partner in prioritization, ranking criteria, and community outreach. Gold Ridge Resource Conservation District – One of two lead agencies in developing and implementing conservation plans with willing landowners, partner in prioritization, ranking criteria, and community outreach. Sonoma Land Trust – Partner in conservation easement acquisition, collaborating on prioritization and ranking criteria, and community outreach. Sonoma County Water Agency – Partner in providing data and analysis, collaborating on prioritization and ranking criteria, and community outreach. Pepperwood Preserve – Partner in providing data and analysis, collaborating on prioritization and ranking criteria, and community outreach. Multiple additional organizations and agencies assisting in SCVC’s success through expertise, matching funds, and leveraging of existing programs. Develop a shared, proactive and positive vision for conservation of working lands and natural areas resulting in agricultural systems that conflict less and are more symbiotic with natural resources. Strengthen the resilience of Sonoma County agricultural and natural systems to drought and climate change by implementing the shared vision for conservation of working lands and natural areas. For more information about this program, visit the Sonoma County Venture Conservation Partnership webpage.